So we were down at the Garden Centre the other day, buying a goldfish. That was a lot of fun – but for me, the really exciting part of the trip was finding issue 4 of Weber’s ‘Grill On’ barbecue magazine, because their brand language is fantastic. We have two Weber barbecues – a big gas one and a little charcoal one – and we’re basically barbecue nuts. At the end of a hard day, few things are more relaxing than standing out in the back garden with a cold drink and something delicious sizzling on the grill. And Weber have transformed what we barbecue and how we barbecue it, because they understand the real purpose of brand language. The best brand writing doesn’t tell, it shows. It helps people understand how wonderful your brand is by showing them how to get the most out of what it does. Weber do that really well. They even publish cookbooks – we have their complete barbecue book and smoking guide. Both are fantastically informative, including deep dives into barbecue theory and practice, all-purpose grilling tips and tricks and of course a small mountain of delicious recipes. Those books contain some of the most practical, informative food writing I’ve ever read. 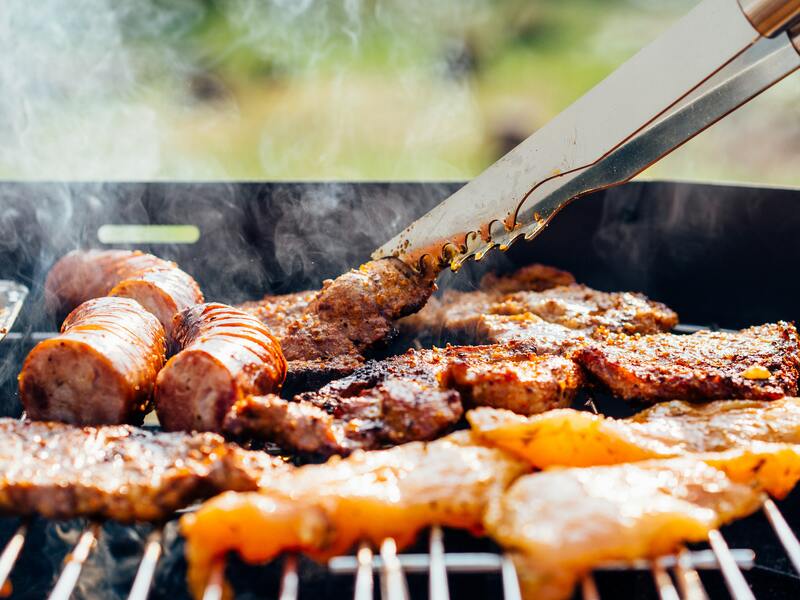 Weber’s content strategy turns their barbecuing expertise into useful, practical guidance that transforms their users’ brand experience. They pretty much guarantee that you’ll get the best out of your Weber kit. Oh, and the ‘Grill On’ magazine is excellent too. It’s basically the Weber catalogue – but before you get to any product info, you have fifty six beautifully designed and written pages of barbecue recipes, grilling science and practical info. It’s a great read. But what’s in it for Weber? All that content’s great for the Weber barbecuer, because it brings the whole process to life in a way that’s practically, positively relevant to them. After all, they’re the ones paying good money for Weber kit. They have every right to all the help and support the brand can give. And of course people who know how to get the most out of a brand automatically become excellent ambassadors for it. Whenever anyone sees them using it, they see high quality results achieved in a confident, purposeful way. What’s not to like? Then they start talking about it. You’ve had a sample of me raving about Weber above. If we were chatting face-to-face, I’d probably have pulled one of the books off the shelf to show you. You might also be munching away on a delicious recipe from it. So you’d probably end up feeling pretty positive about Weber barbecues. How do we tell people how awesome we are? How do we help people do awesome things? Then you’ll be on to a winner.